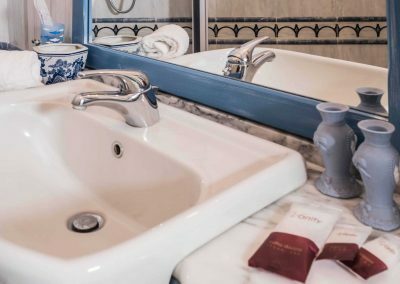 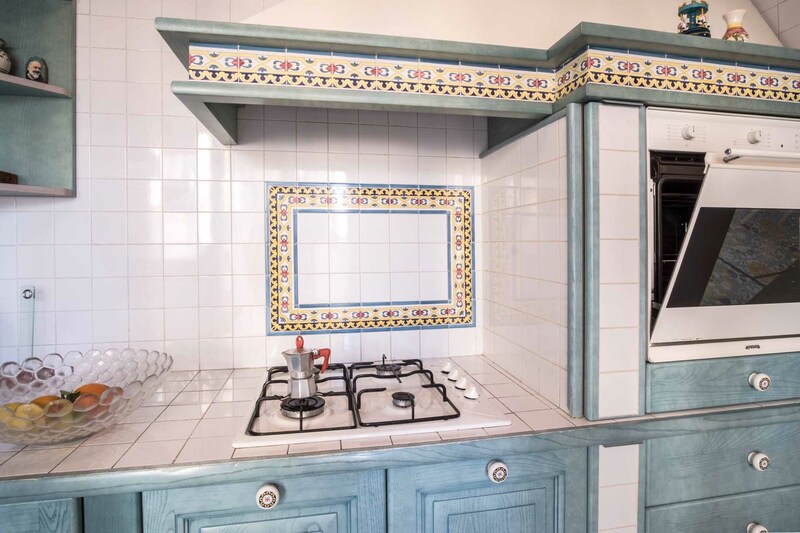 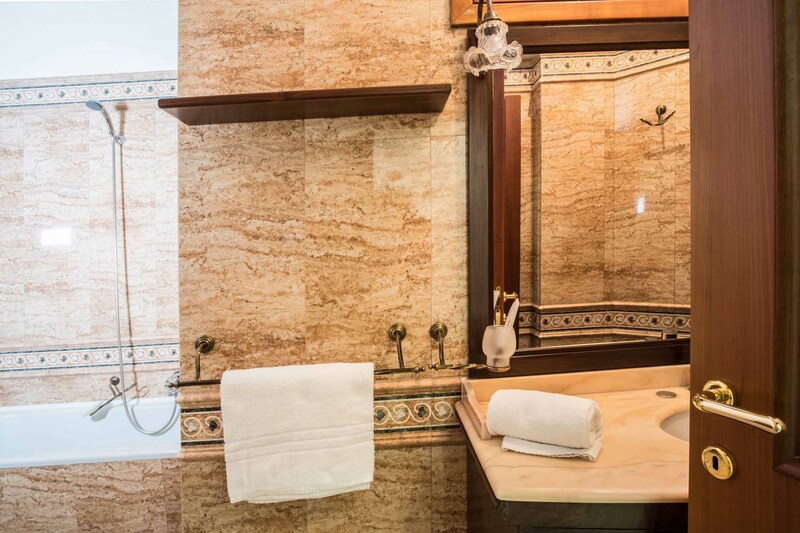 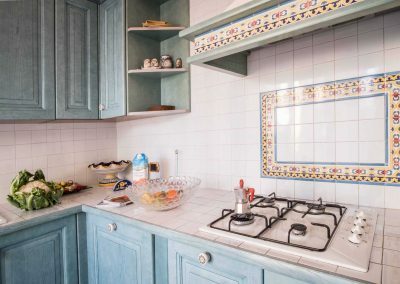 The villa on two levels has a living area on the upper floor with a large living room designed in ethnic style and furnished with every comfort, spectacular kitchen, bathroom with shower and laundry area. 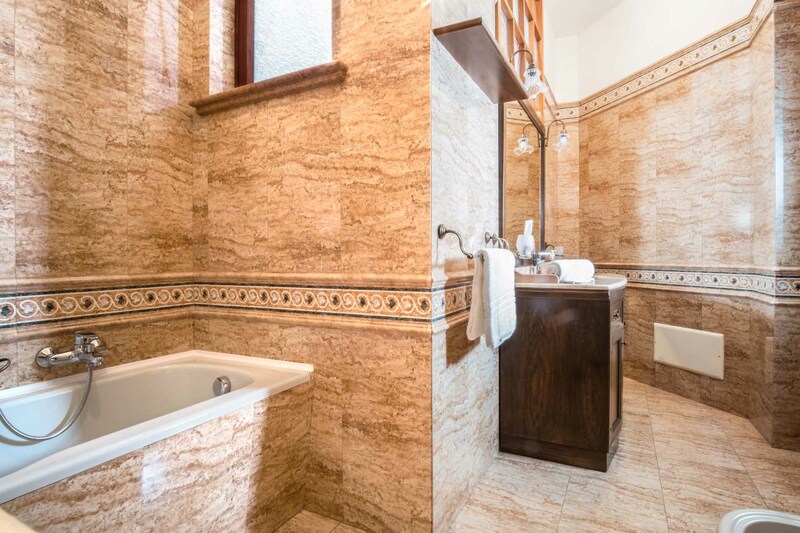 On the lower floor there are three bedrooms and a bathroom with shower. 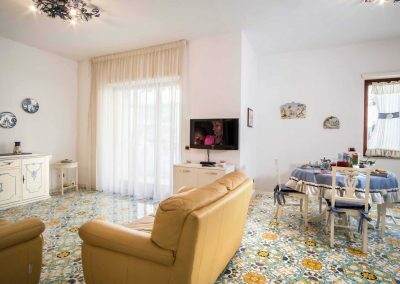 Outside there is garden area with swimming pool and solarium, a furnished veranda with comfortable seating from where is possible to enjoy unique sunsets and finally a BBQ area with outdoor kitchen. 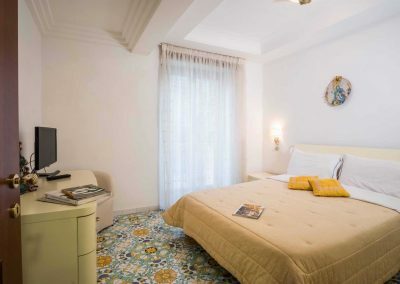 Bedrooms · Queen size bed, twin beds. 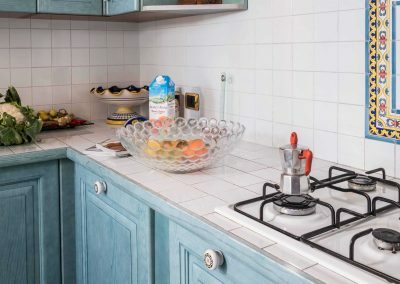 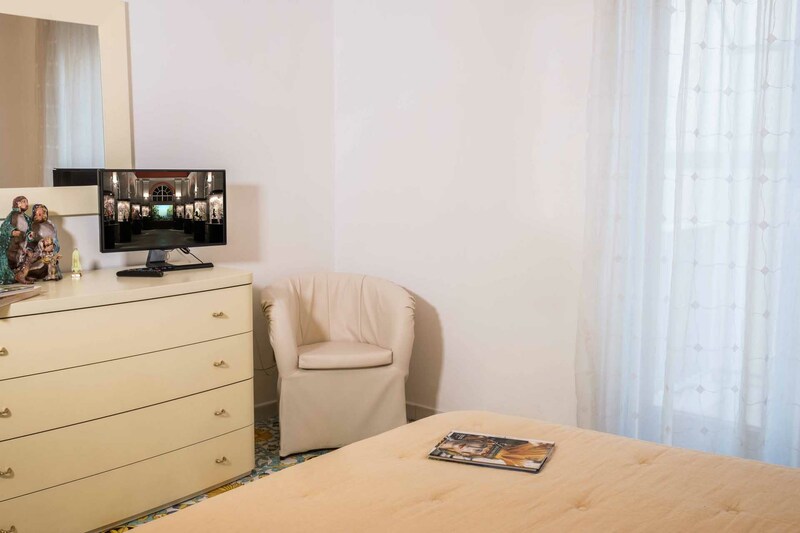 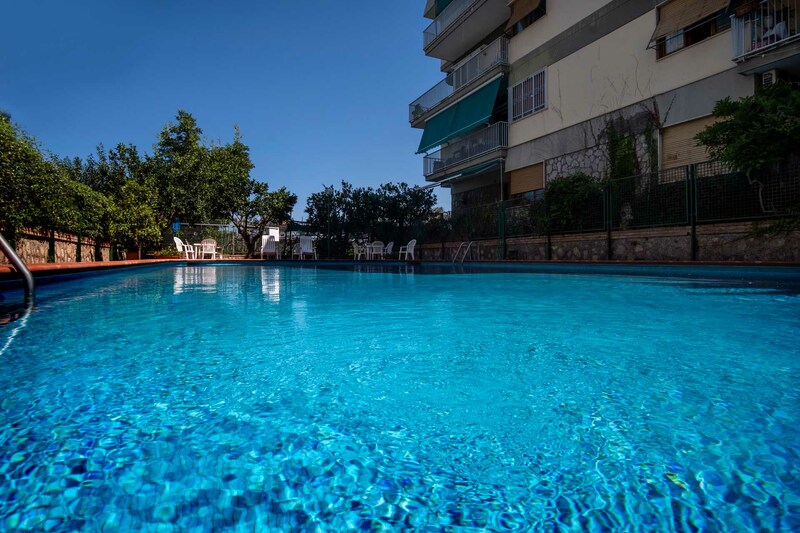 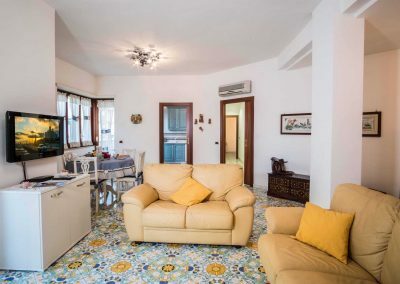 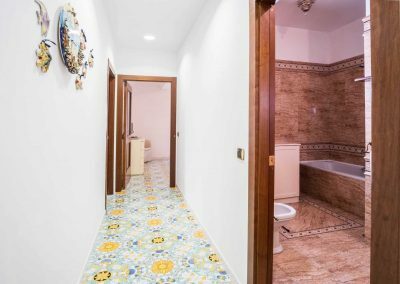 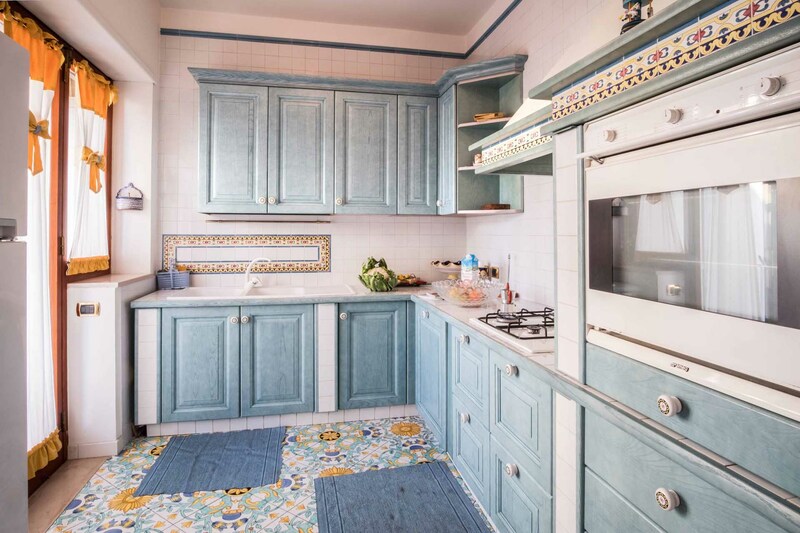 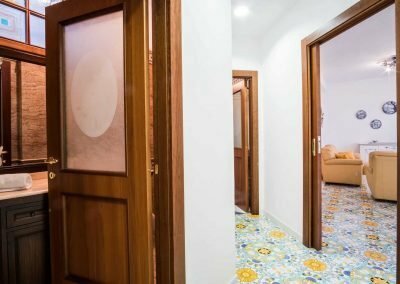 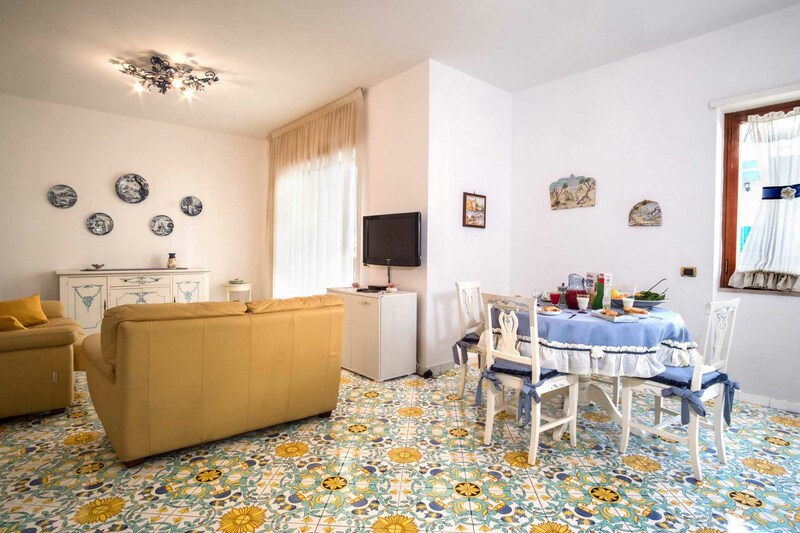 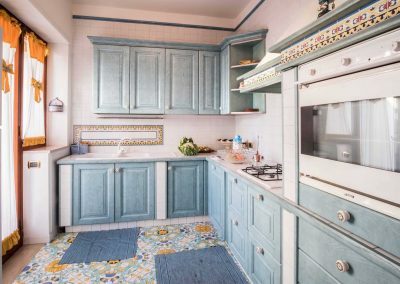 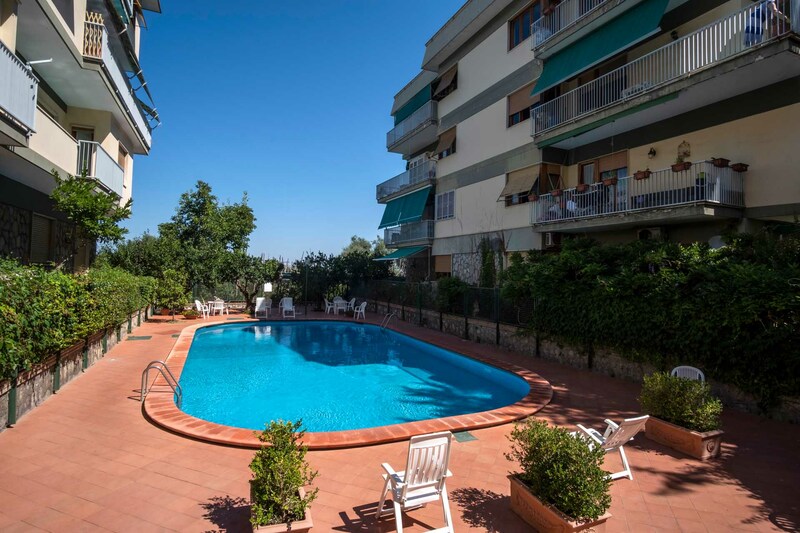 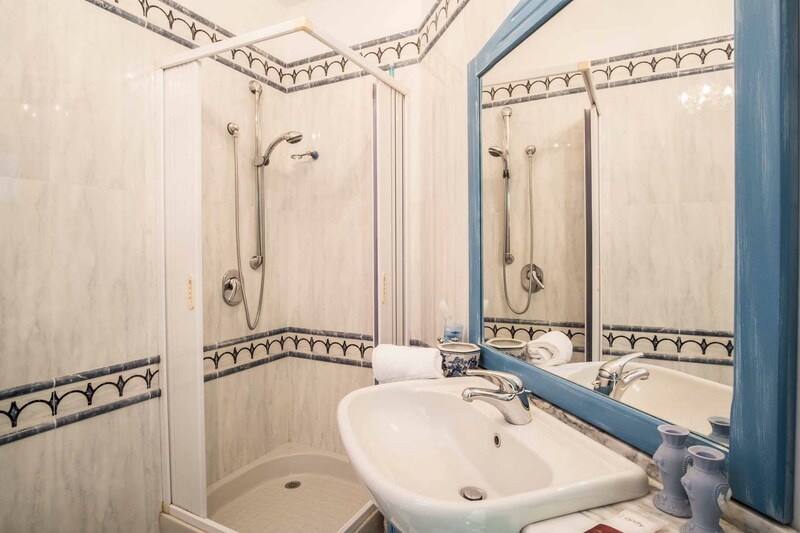 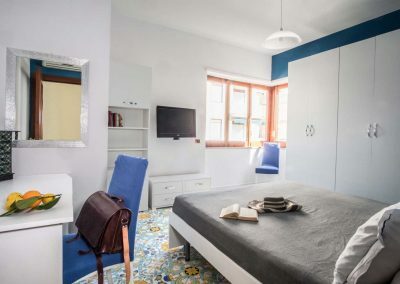 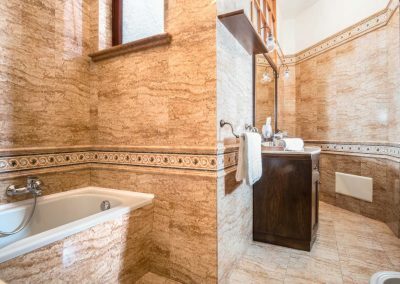 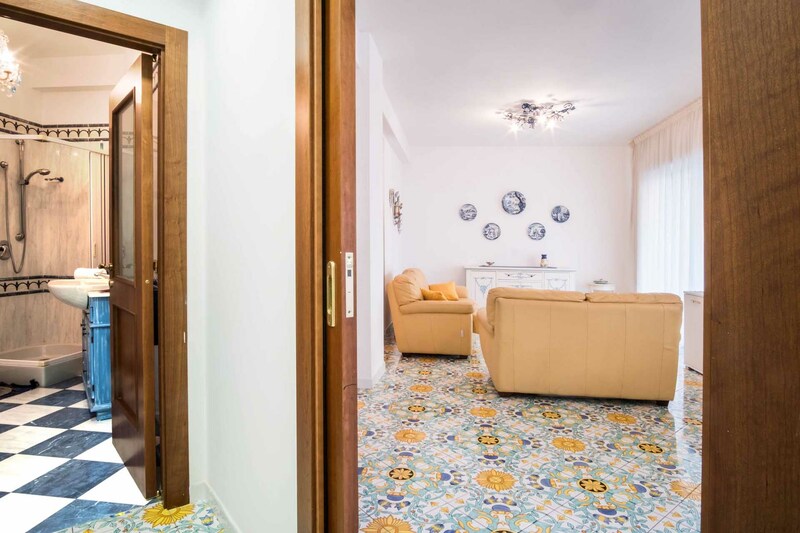 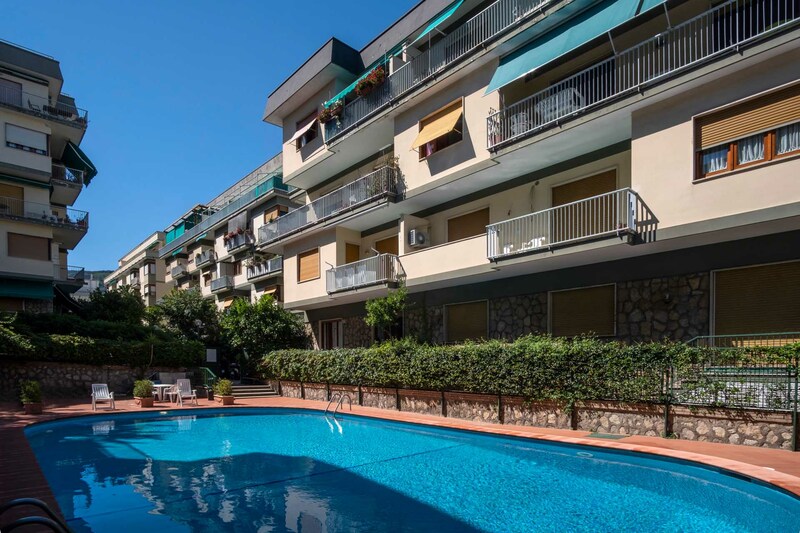 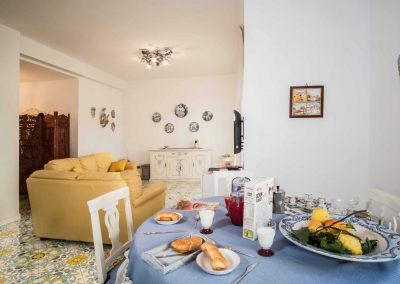 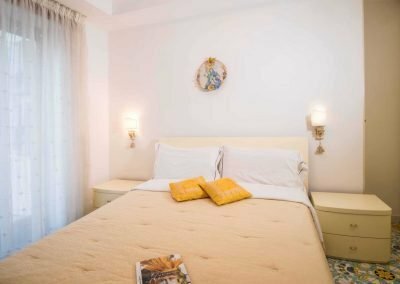 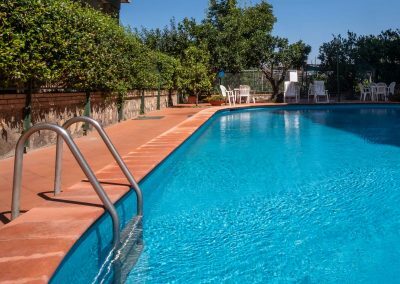 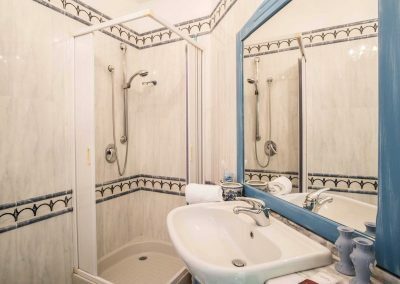 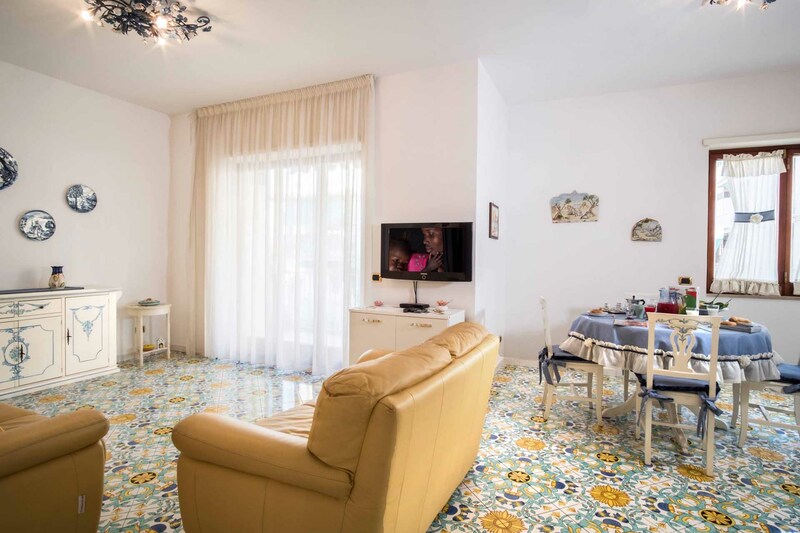 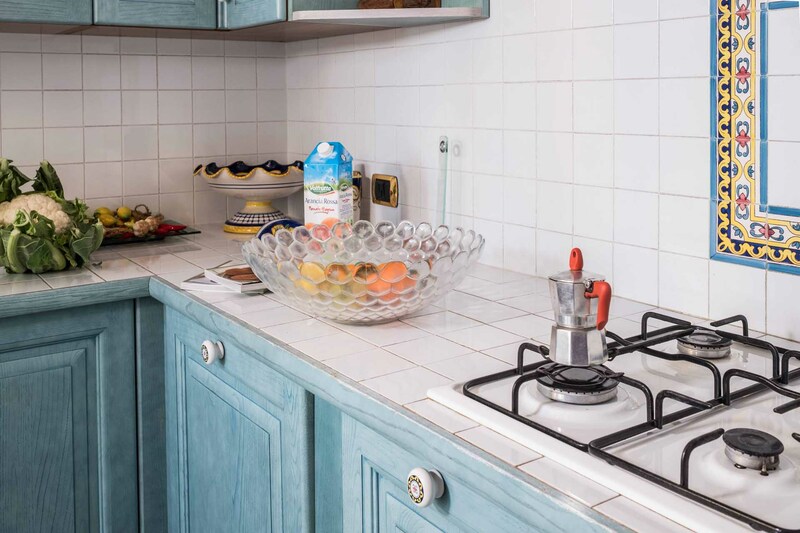 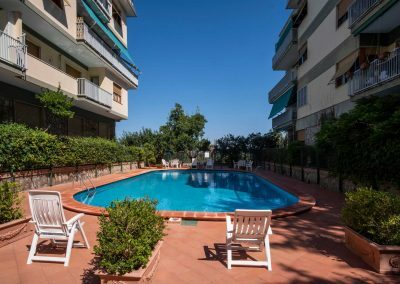 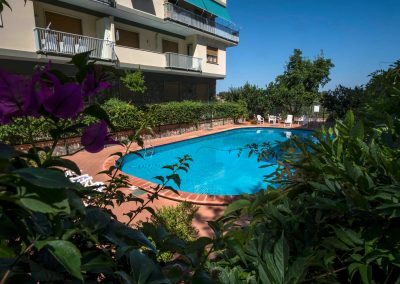 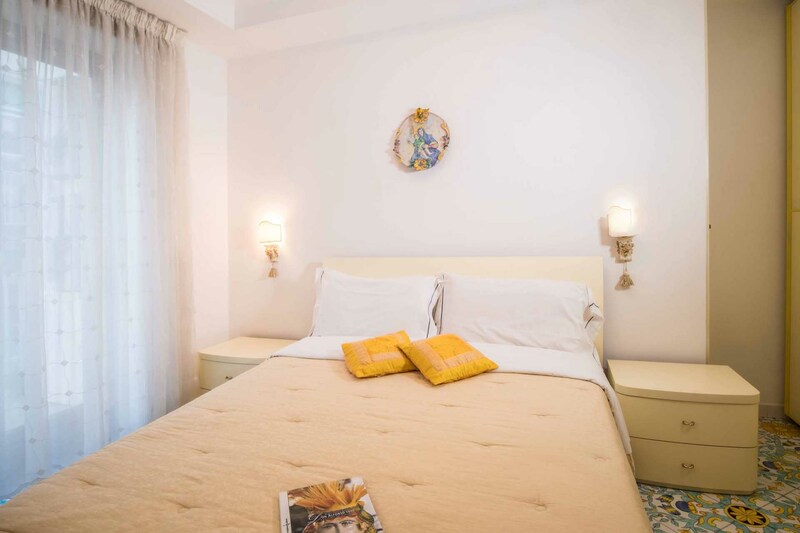 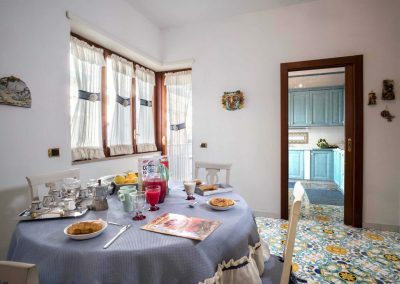 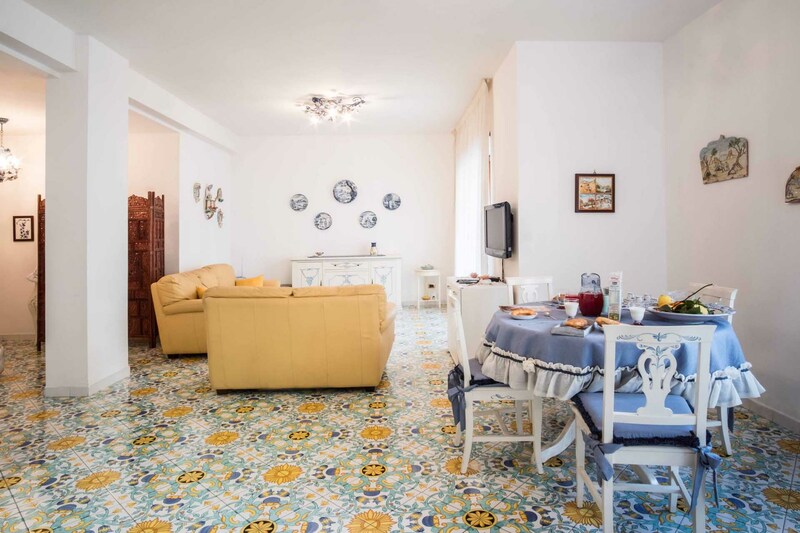 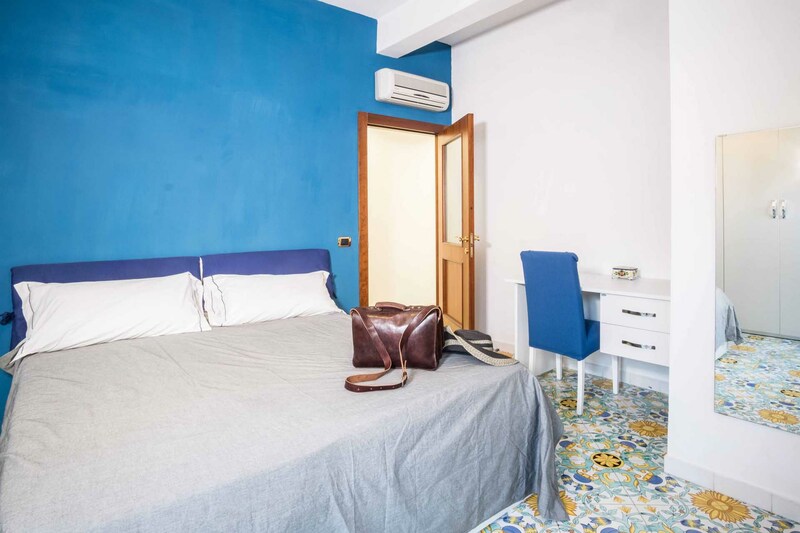 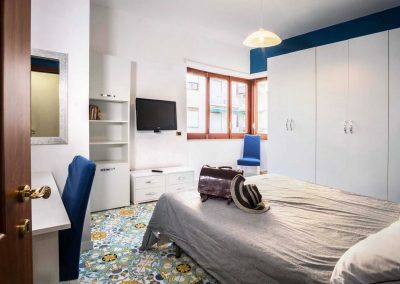 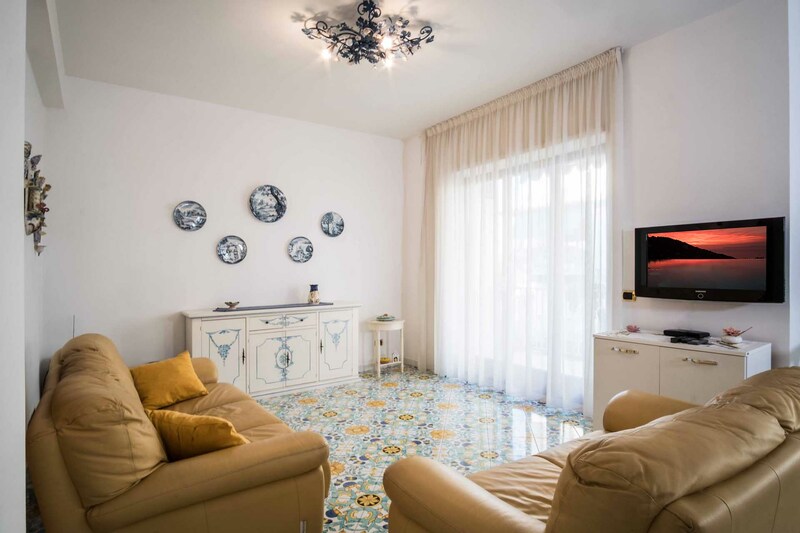 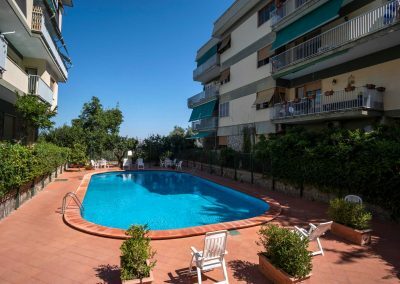 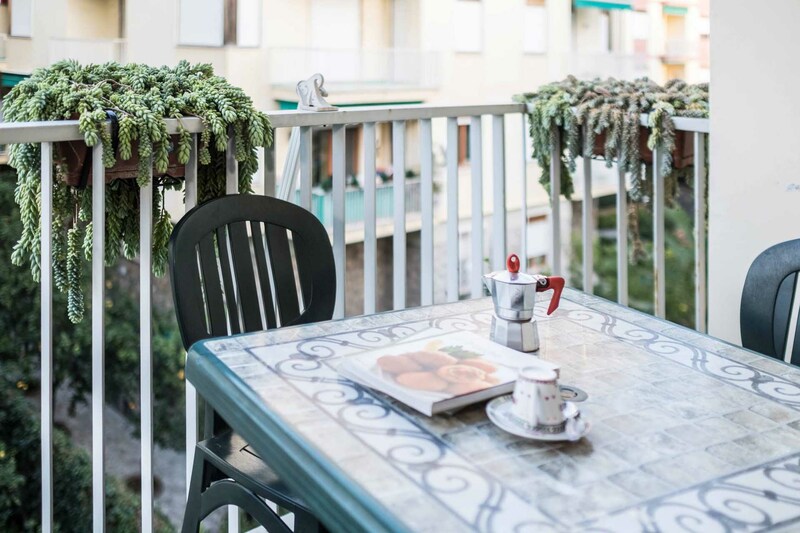 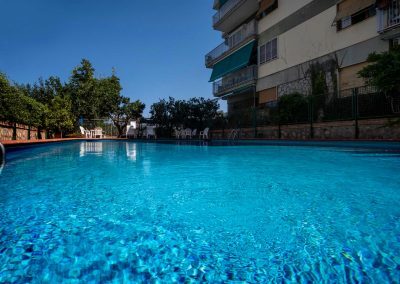 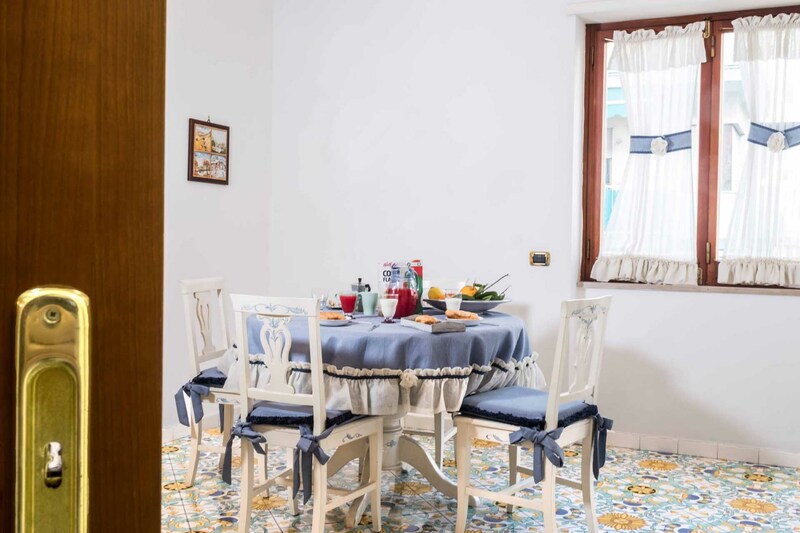 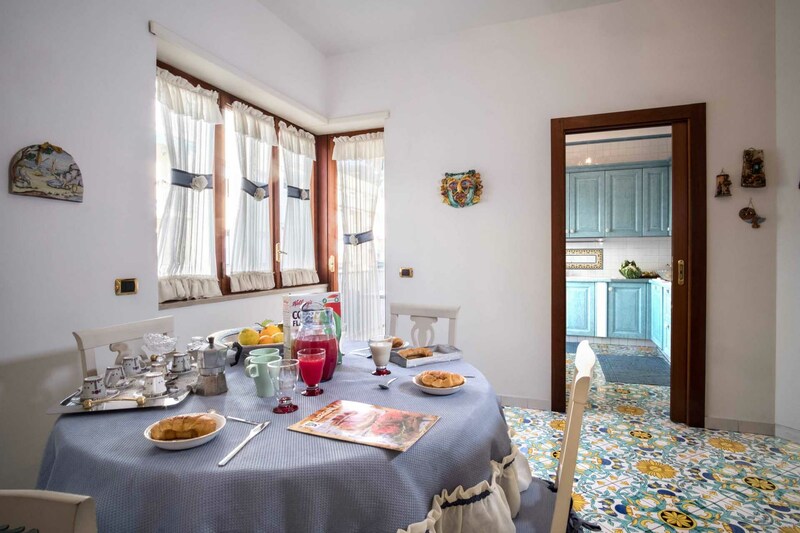 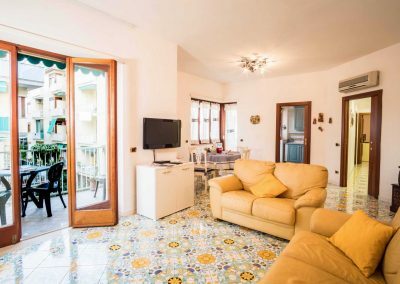 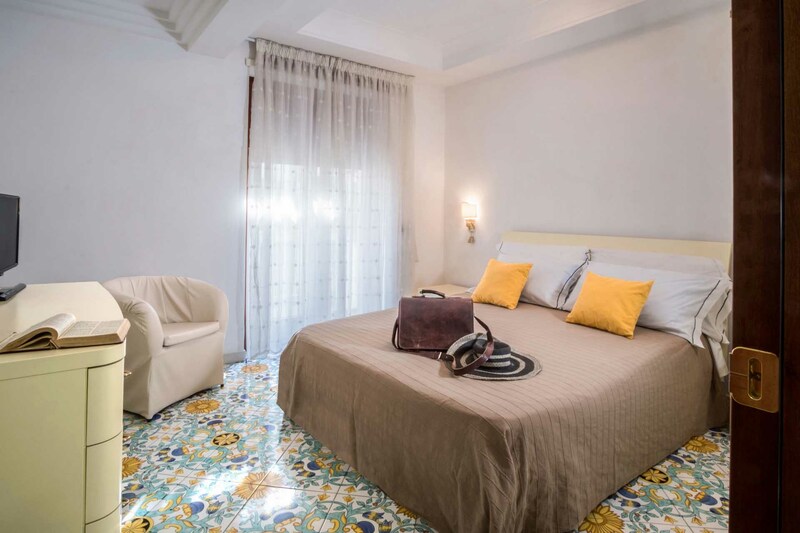 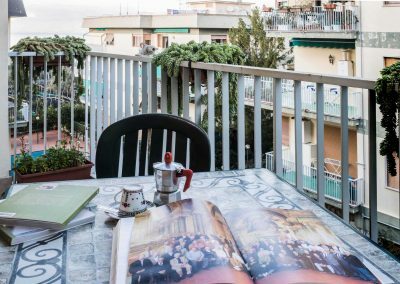 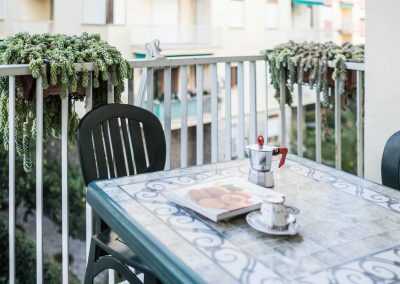 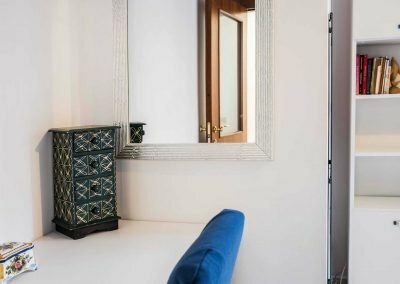 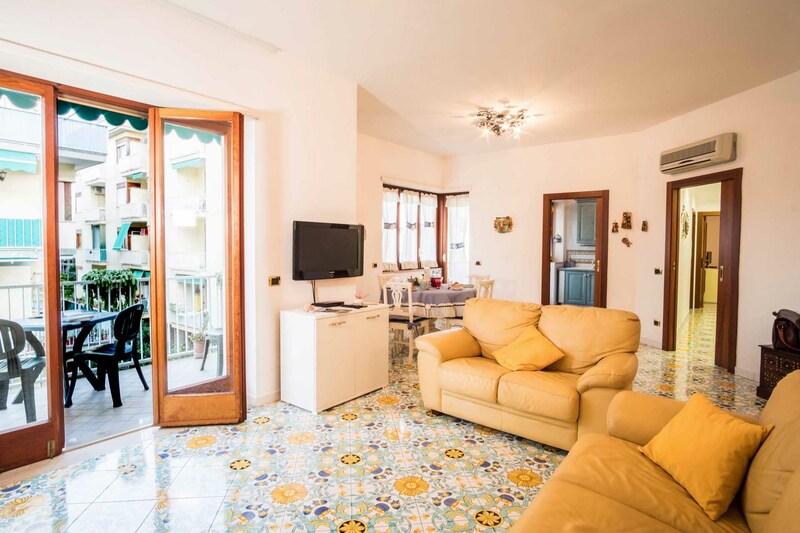 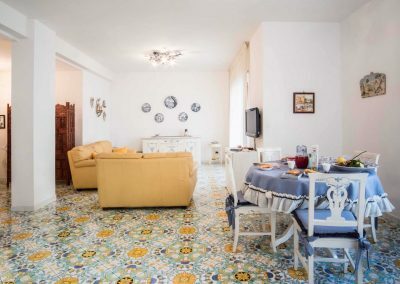 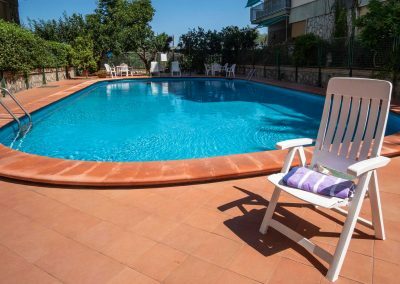 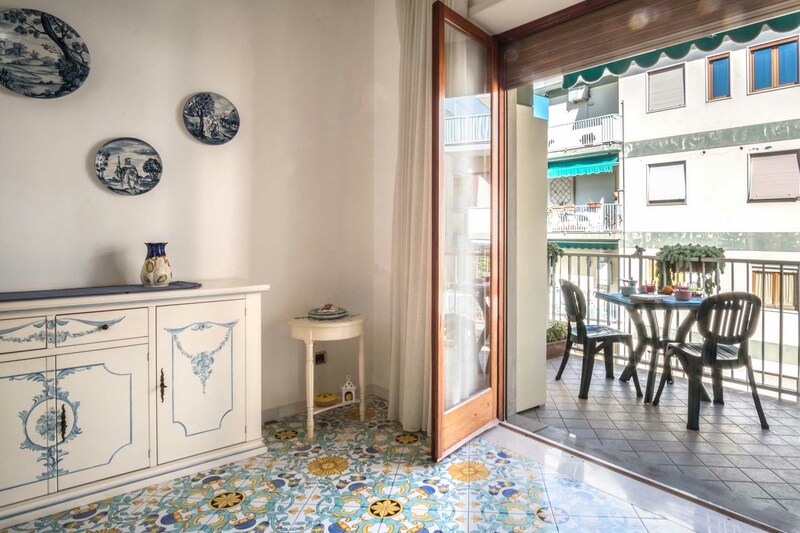 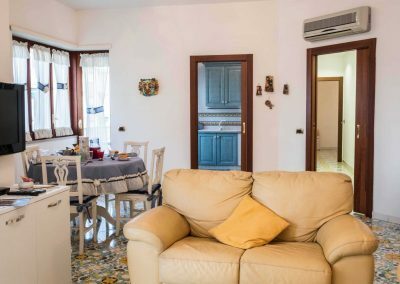 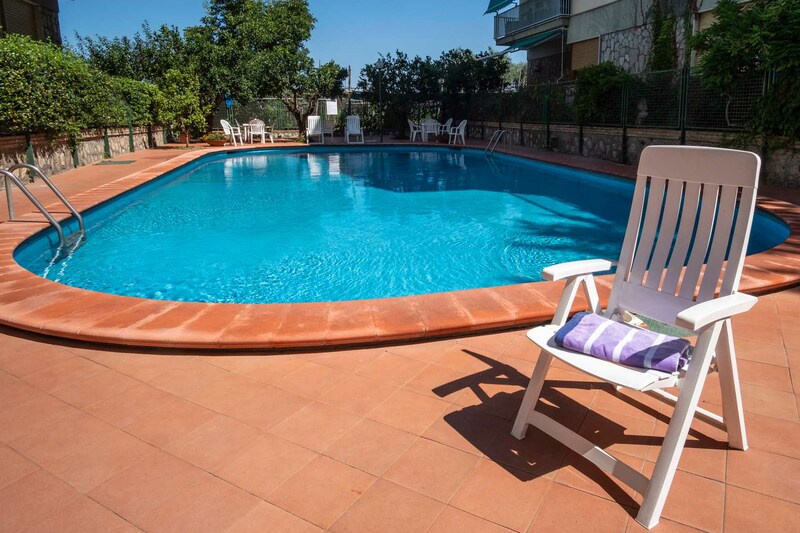 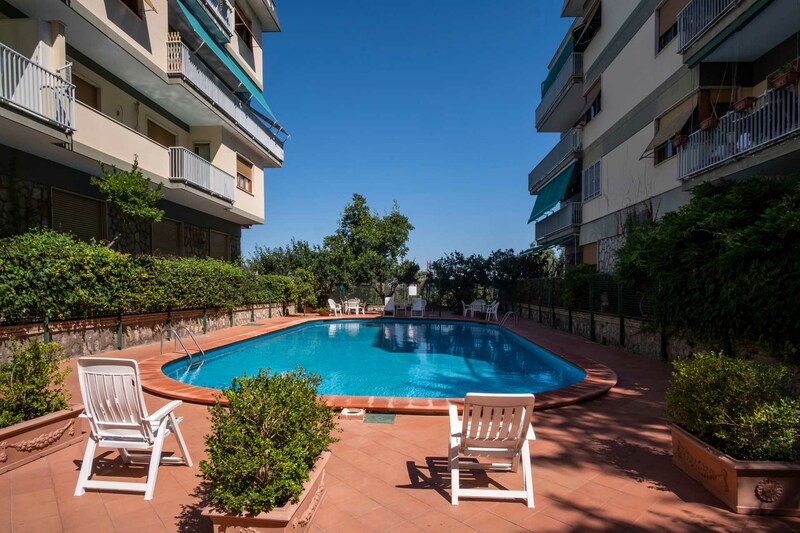 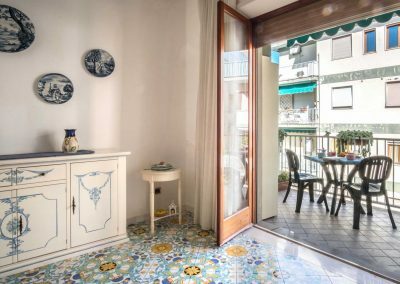 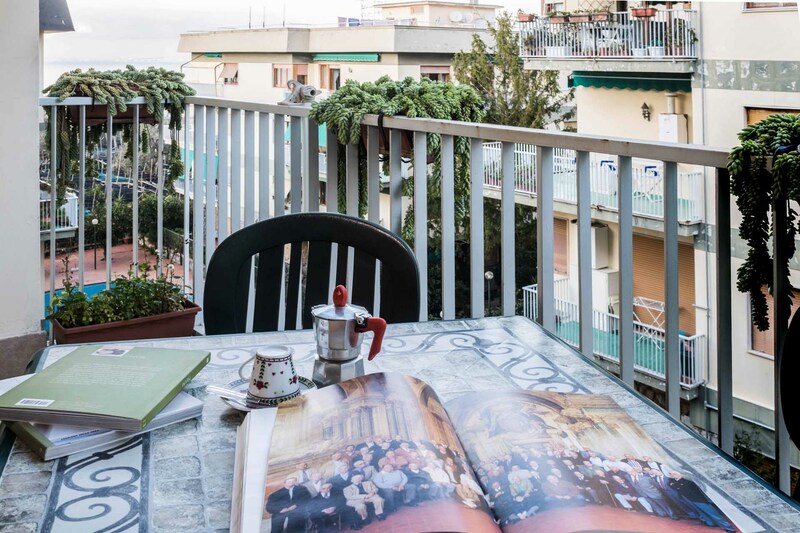 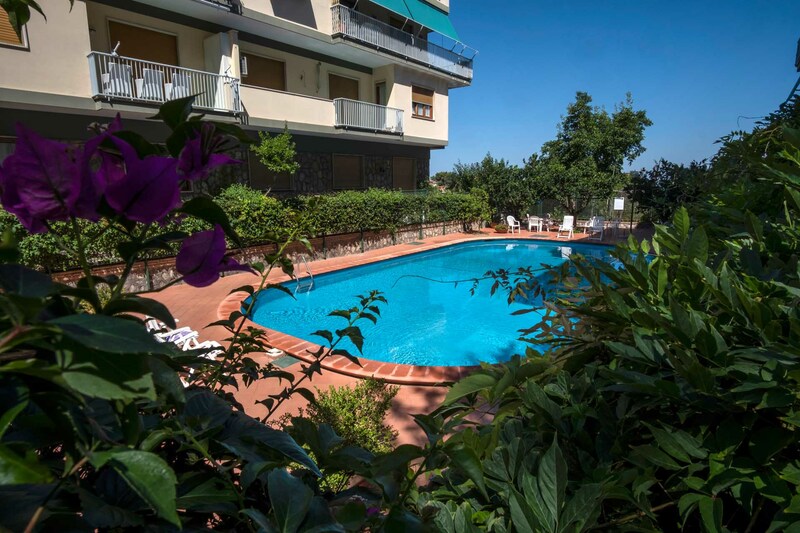 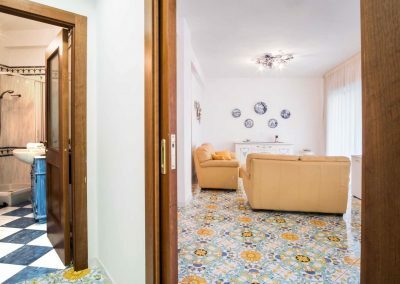 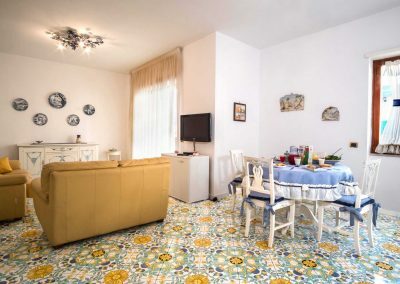 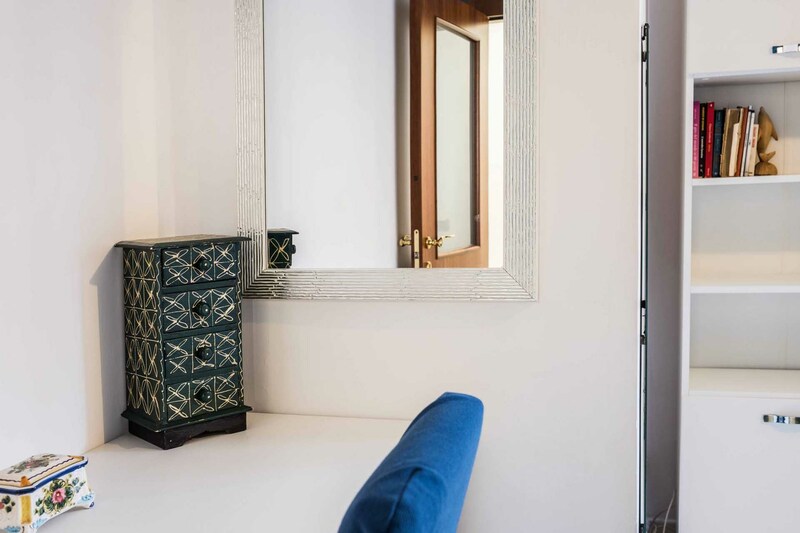 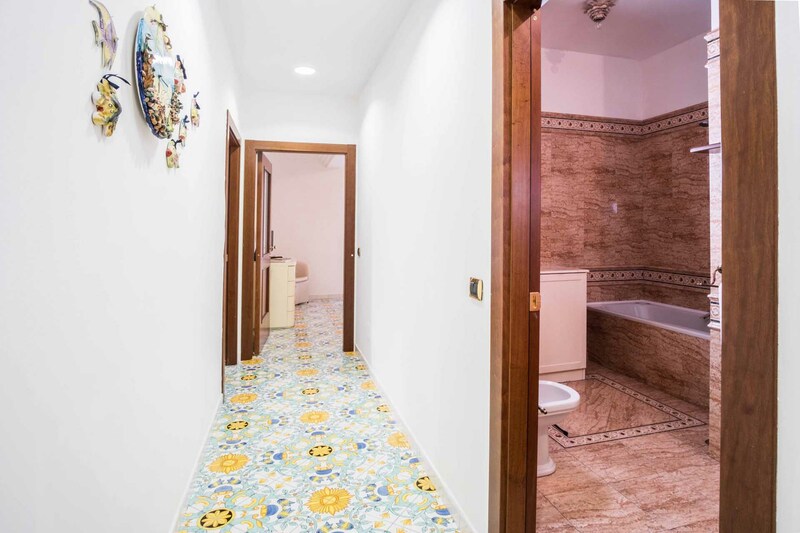 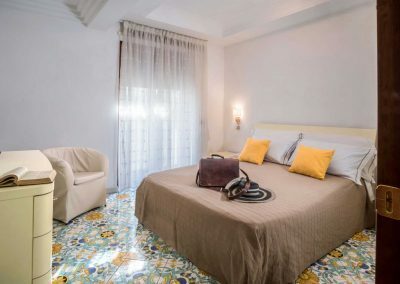 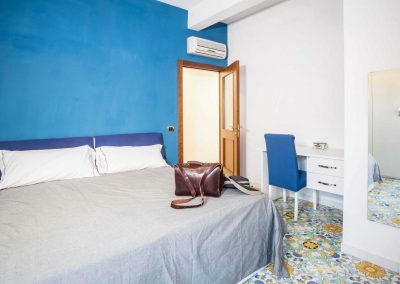 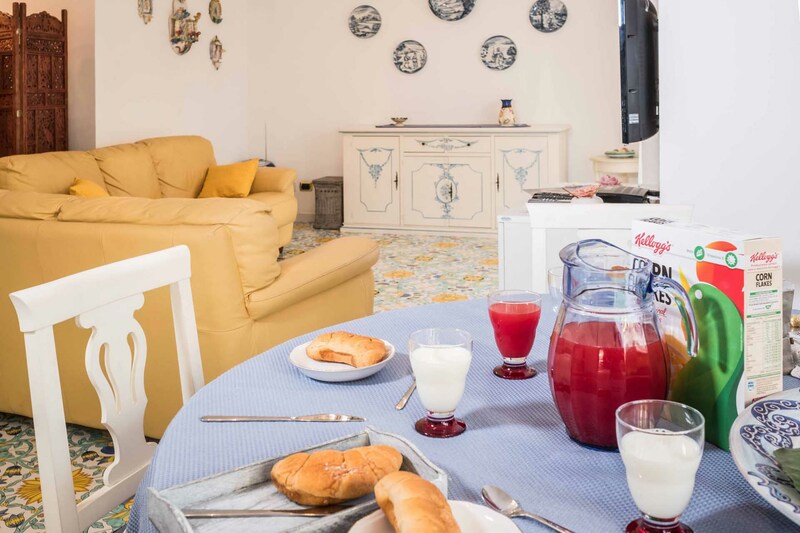 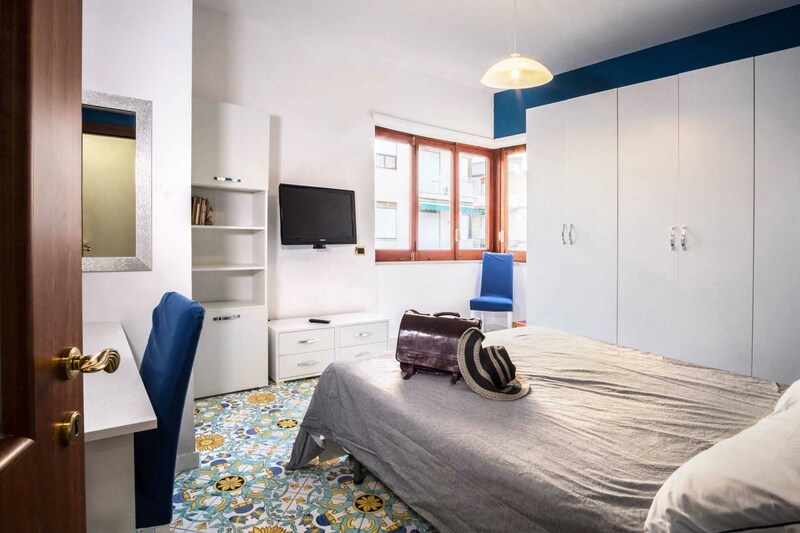 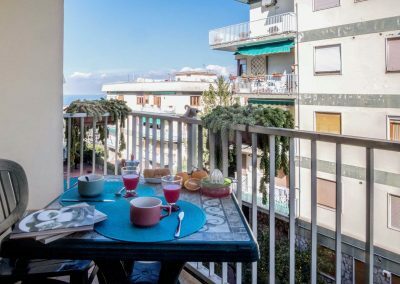 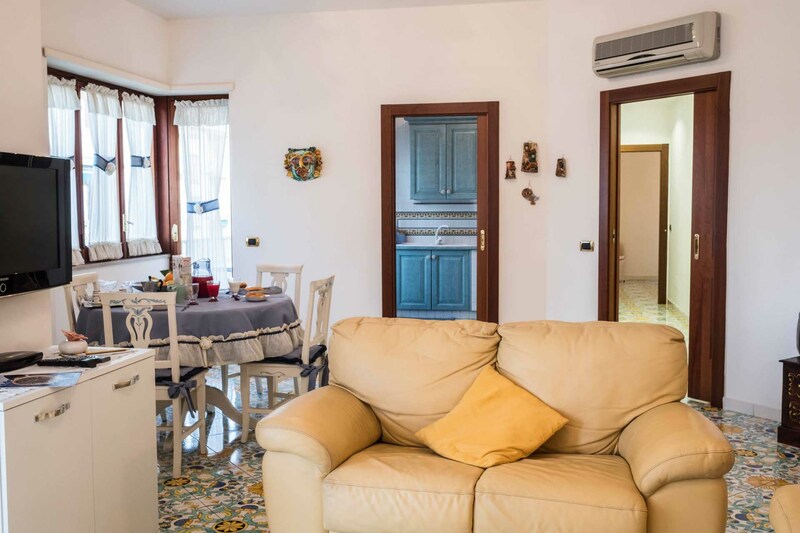 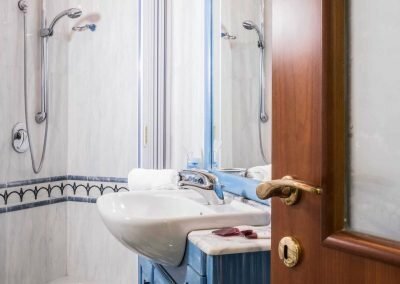 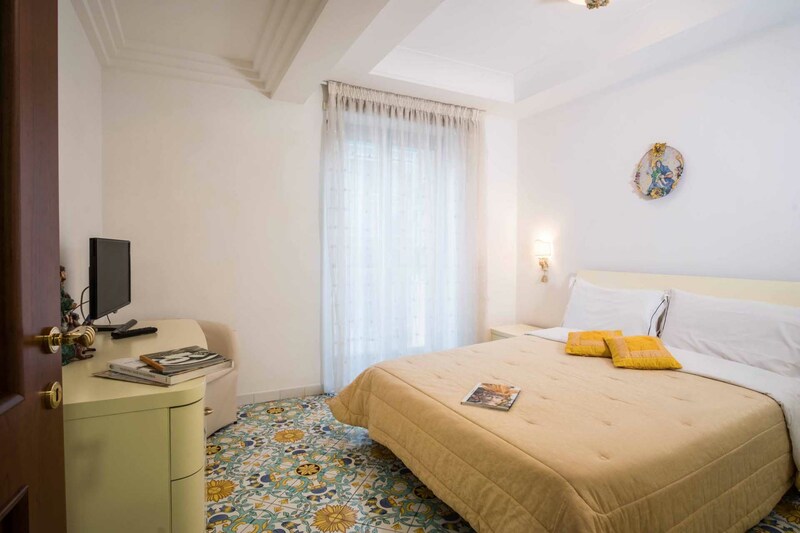 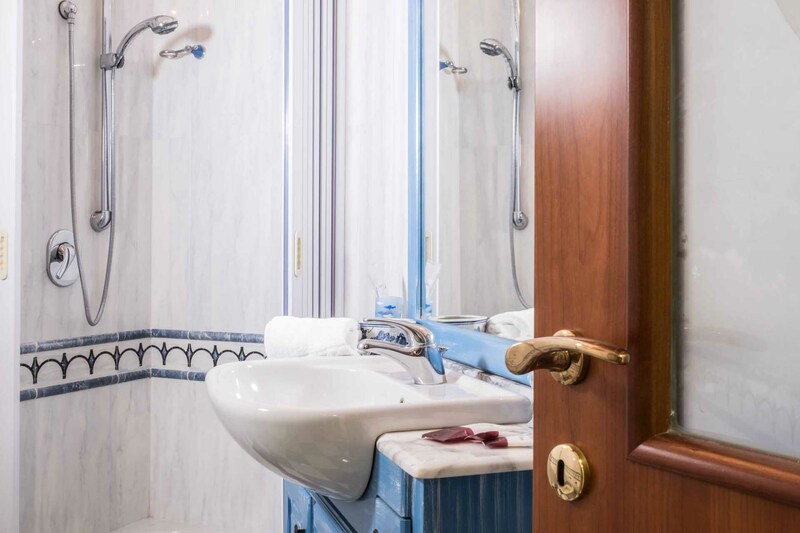 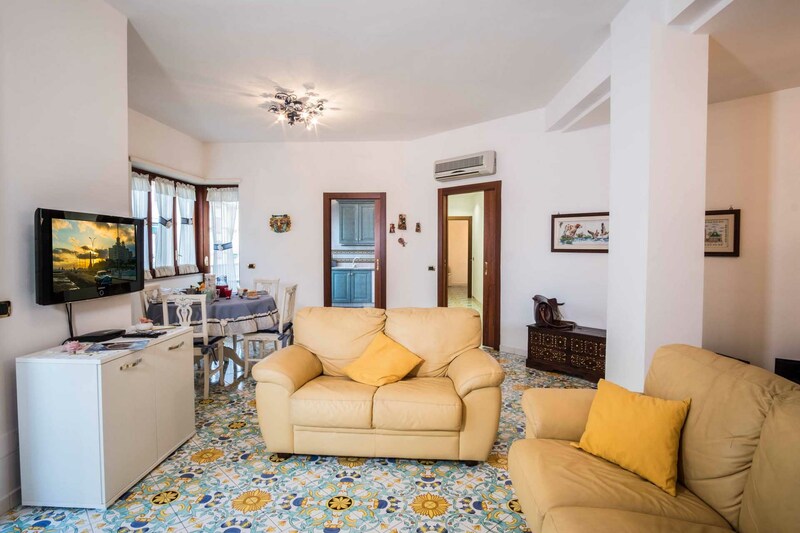 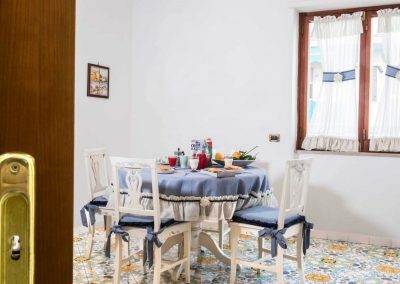 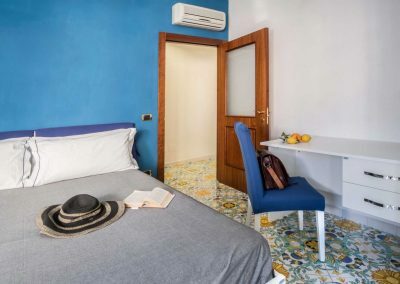 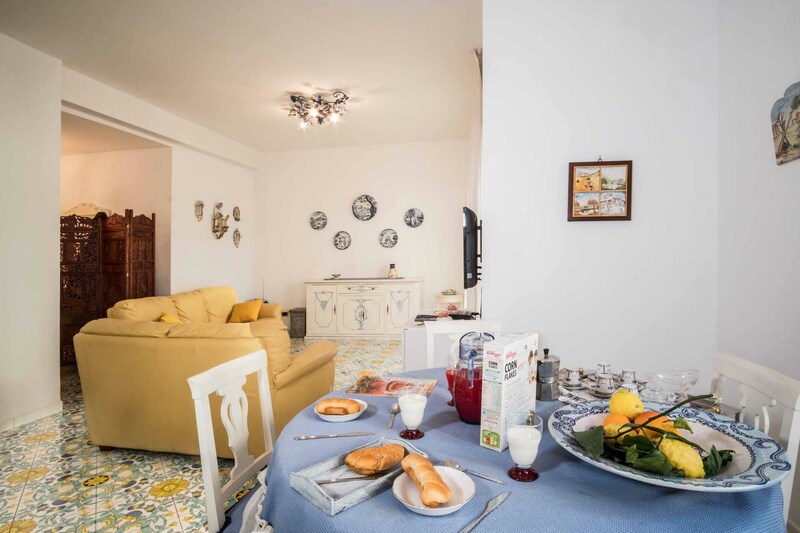 It is located in a very quiet and peaceful area, on the hills overlooking Sorrento, ideal for those who love to stay in contact with nature in a convenient and not isolated location, just a few minutes from the center of Sorrento. 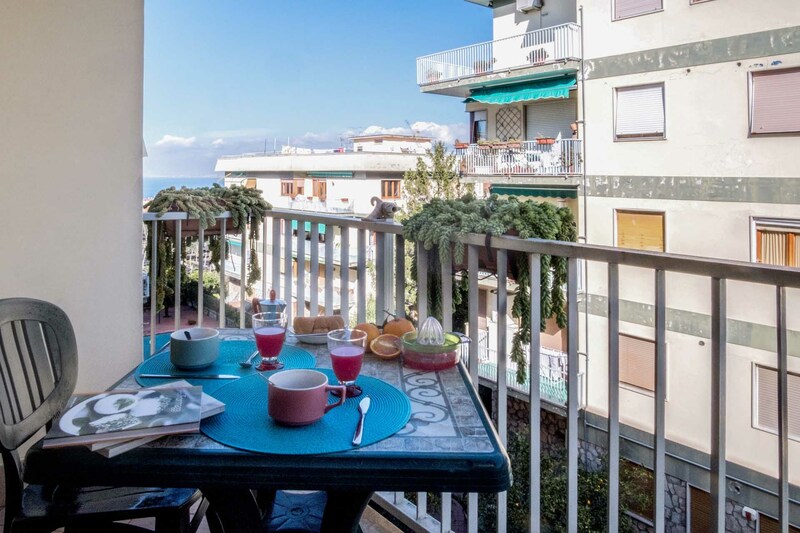 The view is unique on the entire Gulf of Naples and Sorrento.